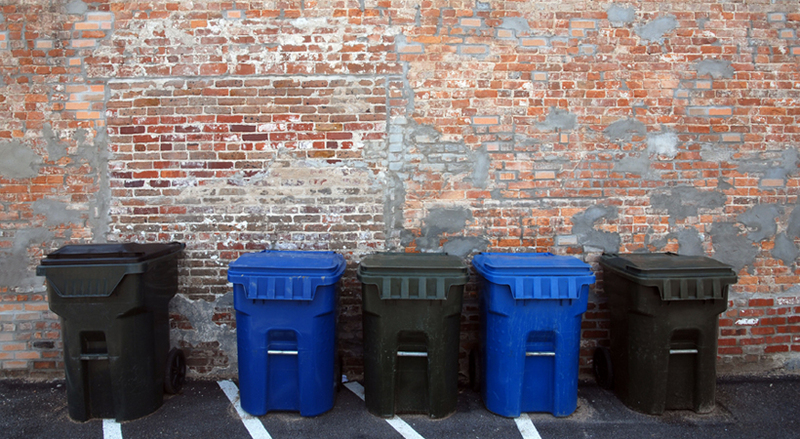 How Recycling Impacts Your Bottom Line. 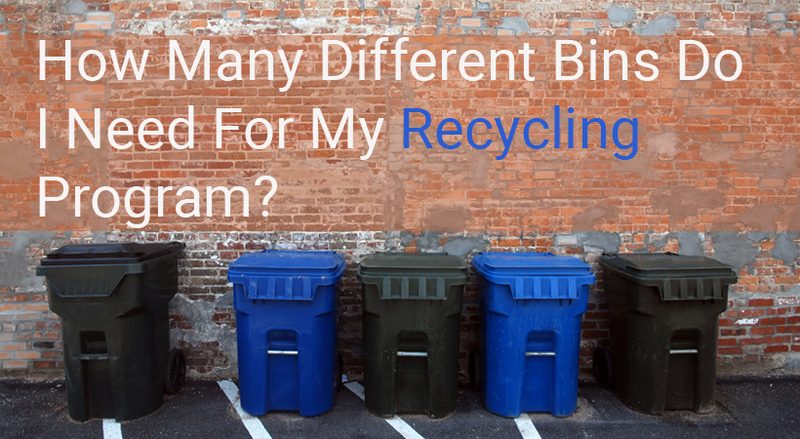 Home / Blog / Collection / How Many Different Bins Do I Need For My Recycling Program? By themselves, the trash cans and recycling bins are likely to be misused by occupants and guests who have recyclables but either do not know where the recycling bin is, or do not want to make the hike to its inconvenient location. Managers of commercial recycling programs and sustainability efforts can’t just live in the moment when it comes to waste bins. They need to know how many bins, and what types of bins, they will need now, a year from now and, ideally, 10 years in the future. Here is a crystal ball prediction at the number of waste bins you are likely to need tomorrow and in the future. 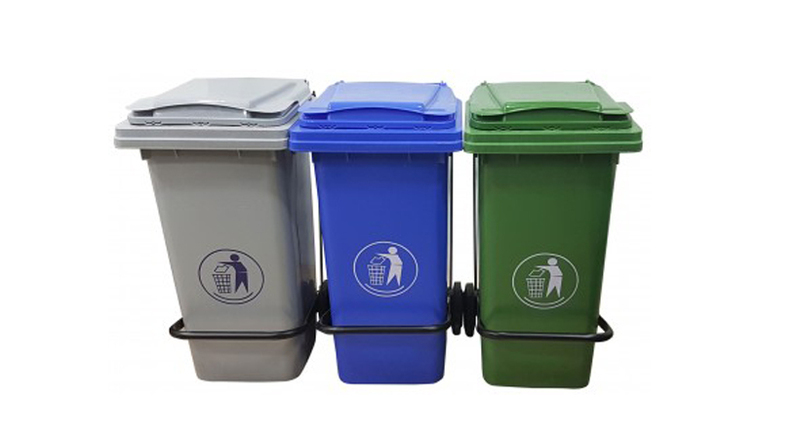 Three is a magic number in many cultures and it’s likely to become the magic number of waste bins most commercial recycling programs will need to achieve a good diversion rate. 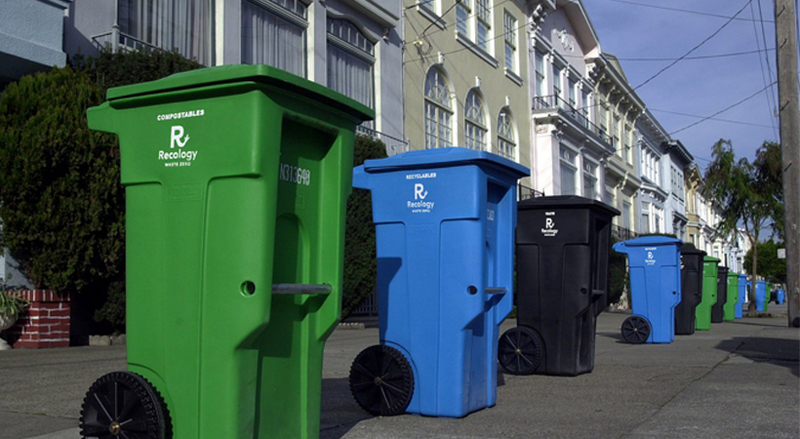 San Francisco has successfully diverted 80% of its waste from trash using a three bin system. During my visit I was amazed to see sets of three bins being used everywhere; at homes, restaurants and other places of business. When Are 3 Bins Not Enough? Recycling coordinators and sustainability managers have to keep in mind that three may not be the magic number needed for a commercial recycling program. Indoor collection in places of business may require bins for electronics, batteries, toner cartridges, or other specialty items. For example, when I was at Yale, we used additional bins called “cardboard caddies” to store the many large cardboard boxes that were a regular part of life in research labs. Although cardboard was an accepted item in our single stream recycling program, the large size of the boxes kept them out of the single stream bins. The boxes were also an “eye sore” and tripping hazard in tight corridors. Cardboard recycling caddies designed to be roughly 3’ X 3’ X 10” reinforced the call to break down the boxes by modeling the flat shape in the space provided. Without words, these bins coached busy researchers to do the right thing and flatten their boxes. Will We Always Need Multiple Waste and Recycling Bins? Although we suggest at least three bins for now, one may someday be the number of bins we need when we get to the Star Trek level of waste management. In some distant future engineers may have developed the MRF of the Gods. “MRF” is pronounced “mirf” and stands for “Material Recovery Facility”. It is the recycling center at which paper, cardboard, cans and bottles are sorted out. All waste, compost, recyclables and other items would be collected together in a single bin. The magic MRF would separate out recyclables, compostables, and any true trash. Current experimentations with facilities that accept a mix of trash, organics and recycling are called “Dirty MRFs”. They have a sketchy reputation for biting off more than they can chew. The quality of materials coming from dirty MRFs has been low and the sorting costs high. With a few more decades of experimentation, however, we might find ourselves back to one bin. But until then, a multiple bin system proves to be the best solution in promoting conscious and appropriate waste management in commercial spaces. CJ May served as Yale University’s recycling coordinator for more than 20 years. He currently works as recycling coordinator for the City of Waterbury where he combines his work as an environmental magician and sustainability presenter to enchant 32,000 households with the magic of recycling. If you’d like more information on how to implement a rock star of a recycling program, please call us at 1-888-646-4246 or email solutions@cleanriver.com.